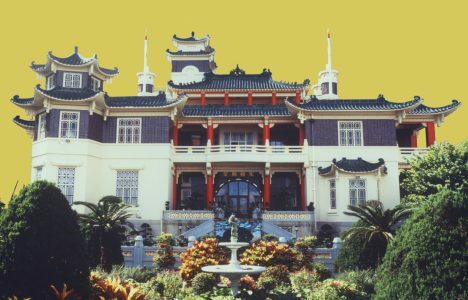 Revitalization Scheme for a heritage landmark of the 1930s-built Haw Par Mansion approved-in-principle by the Hong Kong Government to launch an integrated music learning institution. Our warmest congratulations to the Aw Boon Haw Foundation, a charitable organization set up by Ms. Sally Aw, a philanthropist herself, who has been awarded “Approval-in-principle” (AIP) by Hong Kong”s Commissioner of the Heritage’s Office, Development Bureau, for the re-adaptive use of the 1930s historic Haw Par Mansion. VAM is honored to be an invited strategic partner to the HPMF initiative, along with other alliance partners including the Royal Conservatory of Music (RCM), and the Hong Kong Chinese Orchestra (HKCO). VAM’s role at HPMF will include assisting and supporting in curricular planning and development by introducing systematic and innovative musical programs that have been successfully tested and implemented in North America. In addition, HPMF and VAM have a shared mandate to facilitate mutually beneficial exchange programs for students and faculty of both institutions that will provide a meaningful platform of cultural and educational exchange between Hong Kong and North America. Also strengthening the tie between North America and Hong Kong, the well-known Vancouver firm, Bing Thom Architects led the architectural component of the Haw Par Music Farm proposal. The Mansion is expected to complete its architectural conservation work for its re-adaptive use in early 2017.